El Palacio Damasceno values each and every customer, no matter where they are from in the world. That’s why we provide free shipping to many countries across the world, including the UK, Spain, Italy, France, UAE, Turkey and more depending on your order and the quantity. How to ask for item's price & delivery? The team at El Palacio Damasceno has introduced a new system to make it incredibly easy for you to get a quote for your items and delivery wherever you are situated. There are three simple steps for you to follow to receive your quotation. Alongside each product you will see a “Request a Quote” button which when clicked, will add the product information to your Quotation Cart. When you are ready to request your quotation, view your basket and if there is any information you need to update, such as quantity or measurements you can update it here. Then click “Proceed” where you will be prompted to log in or create an account to view your Quote Summary. Once you’re happy with your order, click “Send Quote Request” to process your quote. The El Palacio Damasceno team will get back to you as soon as possible with a price for your products and delivery. Each item was El Palacio is carefully packed before shipping to ensure your item arrives in one piece and completely undamaged. Your precious products are wrapped with care in bubble wrap, cardboard and finally wood for a reinforced package which will protect your goods. All furniture and goods are packaged securely to ensure their travel and arrival at their destination is safe. 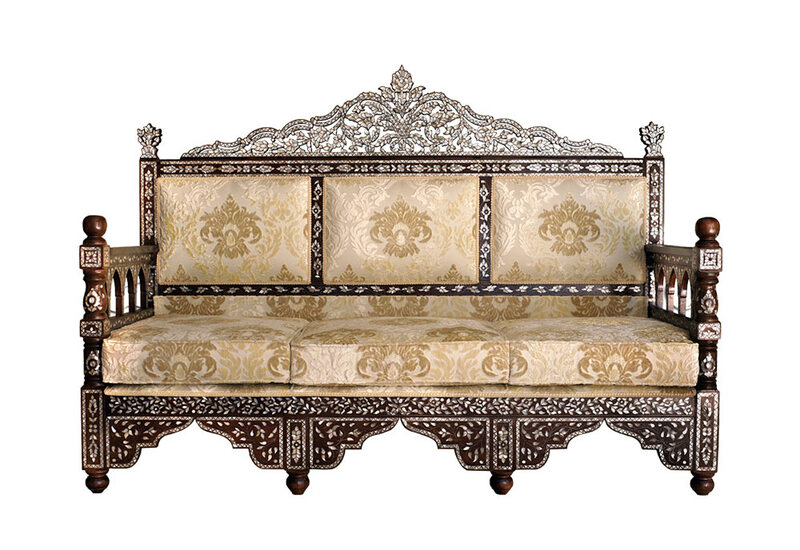 As makers of the finest Syrian furniture, El Palacio care about our products and our customers. The team is always on hand to answer any questions you have about the products or any shipping queries regarding delivery periods and prices. For more information you can contact El Palacio online or contact us direct by calling +34 9113 999 72.